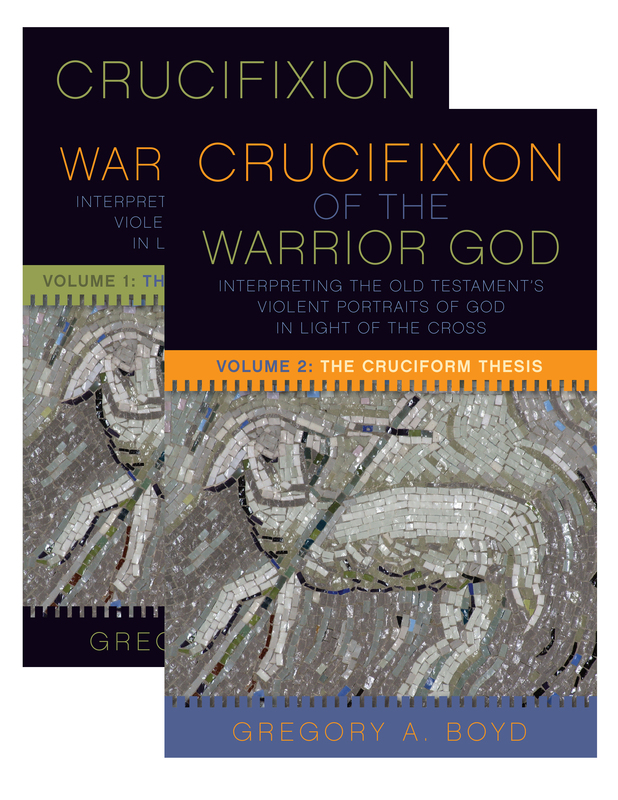 Today I’m delighted to share with you the final part of my three-part review of pastor-teacher-academic Greg Boyd’s long-awaited new book The Crucifixion of the Warrior God (hereinafter referred to as CWG). In part 1 and part 2, I attempted to set out a high-level overview of the structure and content of CWG. While, given the length and depth of the book, this was necessarily a skim over the surface rather than a deep dive, I hope I have done enough that those who have read CWG will recognise my sketch as a reasonably faithful synopsis, and that those who have not will gain at least a bare-bones understanding of what Boyd is trying to do and how he is trying to do it. In this third and final part, I will briefly set out what I consider to be the main strengths of Boyd’s work in CWG, as well as my main concerns with it. There are many positive things that could be said about this book, and more than a few concerns that one might validly raise about it; for the sake of space and time, I shall limit myself to three positive points and three primary concerns. Anyone who has read other scholarly theology books will know that the experience can sometimes feel like wading through an ocean of molasses while enveloped in thick fog. “Wow, this is easy to read!” is not a thought that often goes through one’s mind while immersed in over a thousand pages of theological discourse. CWG is an exception: for a book of its size, scope and theological density, and apart from one or two particularly dense sections dealing with more philosophical and metaphysical aspects of theology, it really is remarkably easy to read. Boyd writes clearly and accessibly, avoiding theological jargon and shop talk wherever he can; where this is either impossible or impractical, he takes care to explain concepts and terminology in ways the non-specialist reader will have little problem understanding. One could say that his tone is pastoral rather than purely didactic throughout. He also makes very extensive use of footnotes (and not, thank goodness, endnotes) which the reader is free to ignore, explore or browse at leisure. The reader’s journey is also aided by the book’s very clear structure, with Boyd providing regular signposts along the way to ensure you never feel lost. The result is that, while the prospect of reading CWG might appear daunting, the actual experience of reading it is relatively easy. In fact, as serious theology books go, I can honestly say it was a pleasure to read. As Boyd points out in the book, there has in recent years been a significant increase in the number of theologians emphasising a Christocentric view of scripture. Yet I would say that few have done as thorough and compelling a job as Boyd of holding up not only Christ, but Christ on the cross, as the supreme, all-surpassing revelation of God’s character. Whatever you might think of the rest of CWG, its first part, titled “The Centrality of the Crucified Christ”, is a joy to read. Boyd’s defence of the cross as God’s supreme act of self-revelation is comprehensive, robust and extremely well referenced. But more than that, it is, in places, quite beautifully articulated. It’s a rare thing for a work of scholarly theology to inspire the reader to worship, but Boyd manages to pull it off – or, at least, he did for me. When it comes to scripture, violent Old Testament portraits of God are often the elephant in the room: everyone knows they’re there, and they’re a problem, but no one wants to openly acknowledge them, roll their sleeves up and get stuck in. Enter Boyd and CWG. Moreover, Boyd makes no attempt to minimise the scale of the problem posed by such portraits of God; indeed, he goes to great lengths to show just how huge and seemingly intractable a problem it is. And then he spends most of the book working his backside off to try to address it in a systematic and coherent way. Whether or not you agree with the conclusions he reaches, Boyd deserves great respect for having the cojones to take on this massive issue so willingly, openly and thoroughly. It seems to me that much of CWG is, in fact, an attempt to construct a hermeneutic (i.e. an interpretive approach) that is consistent with a particular view of the inspiration of scripture. The notion that all scripture is “God-breathed” is a recurring motif throughout the book, and Boyd is quick to emphasise that the Church has “always” held all of scripture to be divinely inspired; I was left with the feeling that he sees belief in inspiration as a marker of orthodoxy, even though the historic creeds make no mention of it. The problem is that, while Boyd has quite a lot to say about the inspiration of scripture, it never actually becomes totally clear just what his model of inspiration is. As such, one could be forgiven for concluding that he has set up for himself a vaguely defined standard of inspiration that he feels must be maintained, and then written an entire book, with ten years of study behind it, so as to be able to provide a coherent account of how that paradigm of inspiration plays out in the text of scripture. To put in another way, Boyd’s view of inspiration feels like an a priori that he has to defend as he grapples with violent OT portraits of God. To my mind, this severely restricts his interpretive freedom and forces him to dismiss other interpretive strategies that might otherwise be entirely valid – some of which, in my opinion at least, have great merit and are worthy of serious consideration. Probably my biggest theological concern with CWG is Boyd’s reliance on the idea of God’s “redemptive withdrawal” to allow people to experience the inherent consequences of their sinfulness. This concern plays out on two levels. Firstly, Boyd spends considerable time exploring the significance of Christ’s cry of dereliction on the cross. While explicitly denying that Christ was somehow separated from God at Calvary, he nevertheless sees God withdrawing from Christ to allow him to, in some sense, “become sin” – and thus experience the dreadful consequences of sin – on our behalf. In his defence, Boyd recognises the massive theological problem that would be posed if he were to admit that God the Father had, in fact, completely separated from Christ at the cross; moreover, he spends some time attempting to argue that his “redemptive withdrawal” thesis does not amount to a division of the Trinity. However, his argument, steeped as it is in the language of metaphysical theology, is difficult to follow and evaluate, and if I’m honest, I was left with the feeling that it was more of an assertion than a solidly argued and defended case. Secondly, this notion of divine withdrawal is a key component of Boyd’s account of what is happening when we see people and groups come under “judgement” in scripture. In summary, according to Boyd, when people reach a level of hardheartedness such that it is clear to God that they are unrepentant and will not change their ways (Boyd refers to this process using the somewhat mechanistic term “character solidification”), God “withdraws his protective presence” and allows them to experience the full consequences inherent in their persistent sinfulness. The major problem I have with such an approach is this: if people and groups come under judgement when God withdraws his protective presence, this implies that in all other cases (where people are seemingly not coming under judgement), God is busy ensuring that they remain under his protection. Quite apart from the fact that Boyd does not explain exactly what this “protective presence” of God is, nor indeed just how God withdraws it, it seems to me that this leaves us with a micromanaging God who must constantly be at work protecting people from calamity – until, that is, they cross a line whereby God determines they need to experience a dose of life without his protection to bring them back to safety. I must add that, given Boyd’s enthusiastic embrace of Open Theism, the notion of such an interventionist God is quite ironic! Anyone who has more than a passing familiarity with Boyd’s work will know that he places quite a lot of emphasis on what he calls the “warfare worldview”. Put simply, he believes that the invisible world is peopled by a cosmology of angelic and demonic beings whose activities are constantly impinging upon the tangible, physical world in good ways and bad. And this worldview is integral to Boyd’s thesis in CWG: in fact, it forms the basis of one of his four core principles (the “Principle of Cosmic Conflict”). This is not the place to argue for or against the existence of angels and demons. All I want to say is that there is, within the bounds of Christian orthodoxy, a broad range of views on the nature of evil and the existence or otherwise of angels and demons. That being the case, any robust theology and/or hermeneutic should, in my opinion, be tenable wherever one sits along that spectrum of views. And that cannot truly be said of CWG: if one rejects the existence of demons as ontological realities, one is left with a gaping hole in Boyd’s overall thesis. Put simply, I think Boyd places too much theological weight on a particular understanding of evil and its origins, and some readers will find this problematic. There is a lot to like about CWG. It is superbly well written, mind-boggling in its breadth and depth, and dazzling in its portrayal of Christ crucified as the acme of God’s self-revelation. But it is also fraught with a number of potential theological and hermeneutical pitfalls; perhaps that is unavoidable for a work of its size and scope. If nothing else, I think it is safe to say that CWG will be seen as a milestone work. At less than a month since its publication date, it has already generated significant discussion, and will likely continue to do so for years to come; and that, perhaps, is one of the best things one can aspire to for any serious work of theology. Although I do not see eye to eye with Boyd in a number of areas, I would not hesitate to recommend CWG as a book that any serious theology enthusiast should have on their shelves. 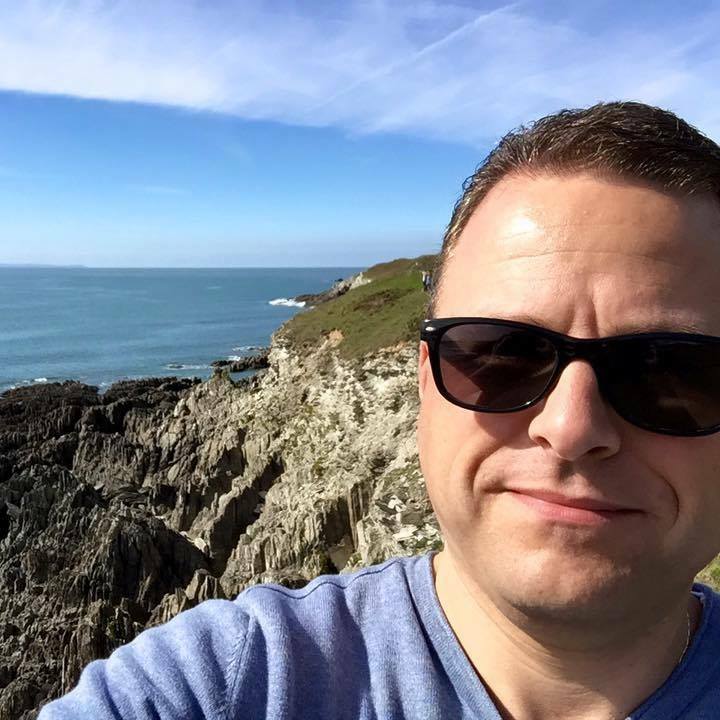 Enter your e-mail address to subscribe to my blog and receive notifications of new posts by email.